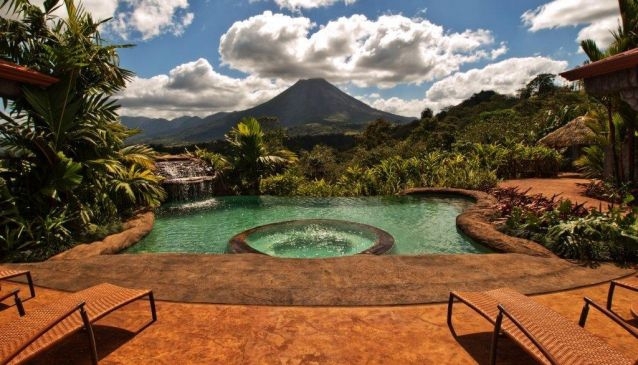 A World Class Luxury Resort featuring Spectacular Hot Springs, Picture Perfect Views of the Arenal Volcano from every guest room and Four Restaurants including the famous Ginger Sushi Bar and Las Ventanas fine dining. Enjoy 18 mineral laden, artesian Hot Springs and the 14,000 square foot Spa and Fitness Center. All of the amenities make The Springs Luxury Resort & Spa a great destination for Costa Rica vacations, weddings, or a honeymoon. There is over 27,000 square feet of event, convention and meeting space which also made them a leading Costa Rica conference hotel.